Note: There are some special configurations that need to be followed for current versions of Artisan 4.0, this article and the procedure itself will most likely change as Artisan finishes beta testing. First, we will install the printer using the manufacturer’s driver as any other regular printer. 2. Make sure you click on futurePRNT V5.50 Lite (119 MB) to start the download. 3. 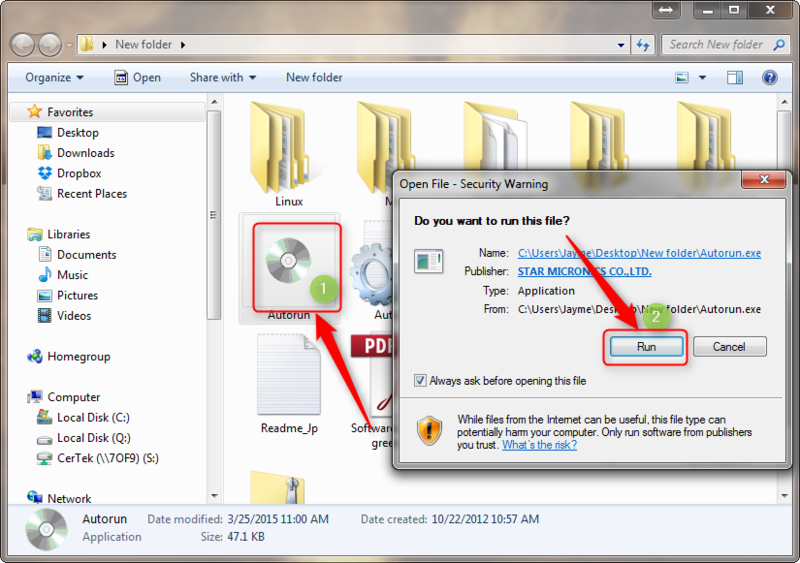 Locate the driver in the designated downloads folder, it should be named “tsp100_v550_lite”. 4. 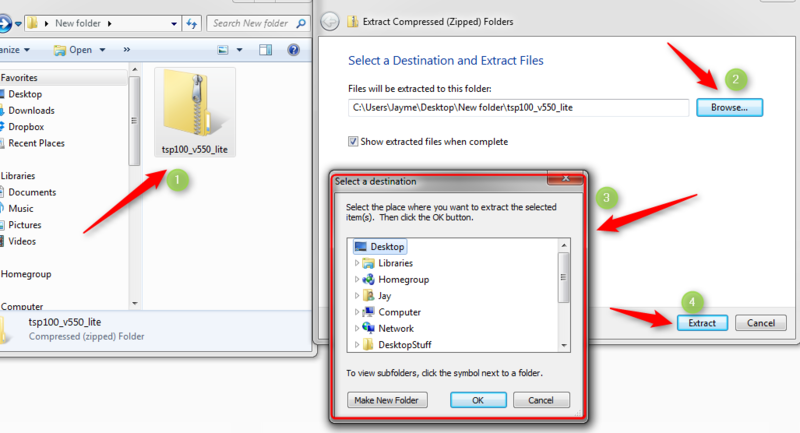 Right click on “tsp100_v550_lite” then select Extract All, then select Browse on the next window that prompted, after that then select the destination folder where you like to save the extracted item(s) and hit ok then hit Extract. 5. In the folder, locate the actual driver package to be installed, then double click on Autorun => Run just as the image below displays. 6. 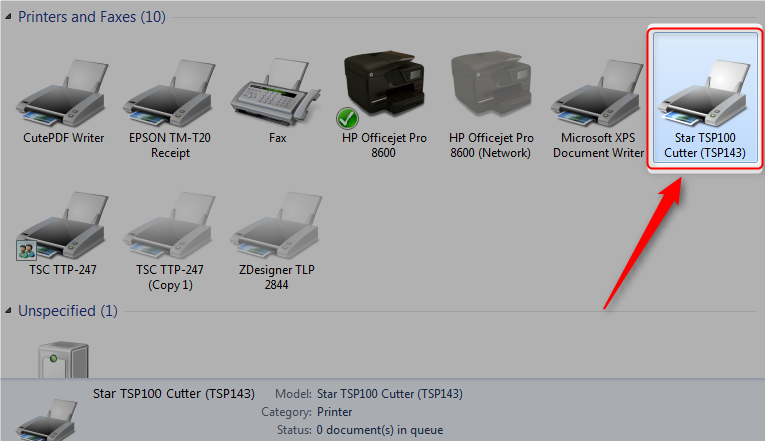 Now you will see the TSP100 star printer installation Menu, hit Installation=>Accept =>YES to allow PC changes. 7. When the Set up wizard is launched hit NEXT and follow on screen instructions to finalize install, once done you will get a InstallShield Wizard Completed Successfully, hit Finish. (See Image Below). Now make sure the printer has been installed by checking the Control Panel / Devices and Printers. 1. Click on Start icon on the task bar. 2. Select Devices and Printers . 3. Now make sure your Start TSP 100 Shows up under Printer and Faxes. (See Image Below). 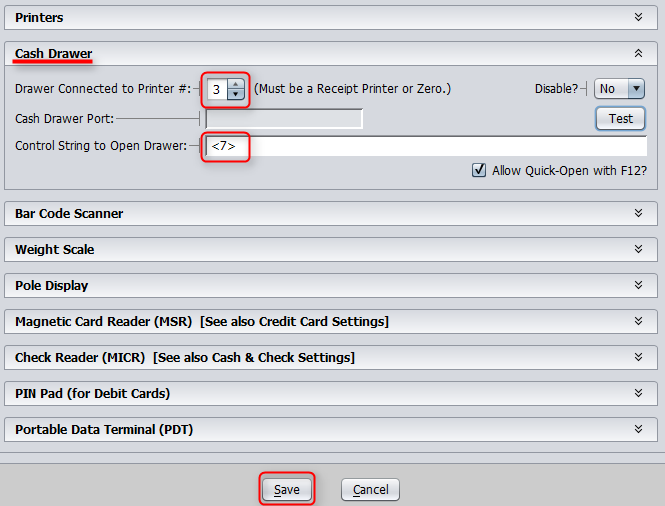 Now, it is time to set it up in Artisan so that it prints receipts BUT does not open the cash drawer (YET). 2. Configure the Star printer following this image. 3. 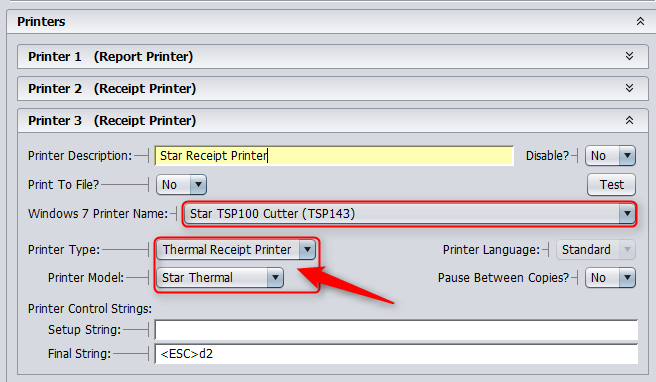 The most important setting here is “Printer Model”, if you will use a cash drawer attached to this printer, make sure “Star Thermal” is selected as the option. Save your settings. Everything should work correctly. Make sure there are not jobs stuck in any queue. If there are jobs stuck, clear them and make sure “Other Thermal” is set for both Receipt and CashDrawer printer within Artisan. Lastly, test doing a sale. It should print a receipt and open the drawer too.